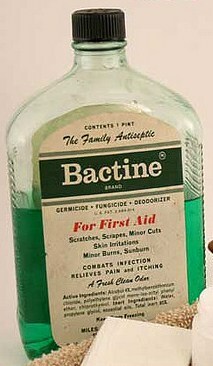 Bactine was originally sold in green glass bottles. Yes, I remember Unguintine! Good stuff.